Giving back is a way of life for some people. You know them. You hang out with them. Some of them are your neighbors, co-workers, friends, and family. They don’t drive Bentlys, have golden parachutes, or wear Armani. Instead, they quietly go about making our communities better places to live. In Charleston, and especially in our sustainability scene, there are hundreds if not thousands of volunteers who are making a difference every day. They teach your kids at the South Carolina Aquarium, clean-up our beaches with the Coastal Conservation League, and help protect our rivers and marshes with Charleston Waterkeeper. Why – because they have heart. Does this sound like someone you know? If so, now’s your chance to help. The CTK Foundation “Heroes with a Heart” Grant Award asks YOU to nominate a “Hero with a Heart,” and give them a chance to win $5,000 – a simple thanks for the hard work that they do. It’s been a while since we updated the Go Green Charleston Local Guide, and we’ve got a ton of new additions for you. Thanks for helping us keep the directory curated with top-notch local green options. With over 150 entries and new categories, we’re excited to see the local scene grow by leaps and bounds. Here are fourteen new additions to the Local Guide – Give ’em some love! If your organization or business should be on our guide, just let us know. 77 Comments Posted June 16th, 2010 . Yes, you read that correctly: Charleston County Recycling is now accepting all plastics for curbside pickup! This means you can start throwing plastics labeled #3, #4, #5, #6, and #7 into your blue bin along with the #1 and #2 plastics. They will accept all plastics except plastic wrap, plastic bags, and Styrofoam (all things you can easily avoid using with minimal effort). And don’t forget, they also started accepting cardboard for curbside pickup in April – epic awesomeness! 160 Comments Posted January 4th, 2010 . Happy New Year everyone! 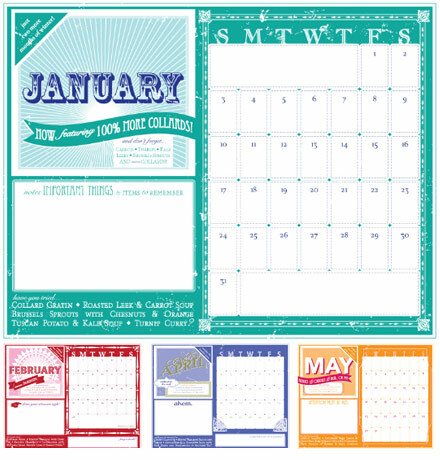 We thought we’d kick off 2010 with a few new additions to the Go Green Charleston Local Guide. 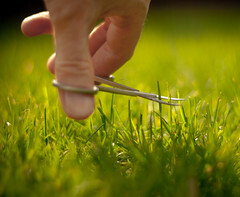 Thanks for helping us keep the directory curated with top-notch local green options. With over 150 entries and new categories, we’re excited to see the local scene grow by leaps and bounds. Here are six new additions to the Local Guide – Give ’em some love! Holiday Inn Express & Suites in Mount Pleasant – LEED! This baby toy from Vulli would be a great gift for that green rug rat in your life, especially if they are teething. 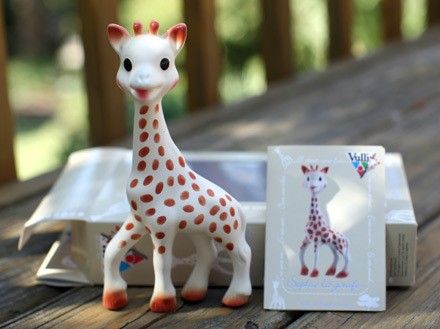 Sophie the Giraffe, as she has been known since 1961, is produced manually in France with 100% natural rubber derived from the hevea tree. Our 10-month-old girl definitely found it soothing, and was excited when it would squeak from time to time. You can definitely tell the rubber is natural, as it has a soft, almost moist feel to it. As an added bonus, it came in sustainable packaging. Green-wise, the only problem I see here is that it is imported all the way from France. If you’re interested, head over to DwellSmart (map) or purchase online. 26 Comments Posted December 5th, 2009 . For the last few years, the Charleston Green Committee has been working hard to keep the city focused on sustainability. 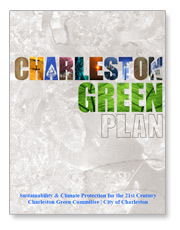 Earlier this year, the Committee finalized the Charleston Green Plan (download), a comprehensive set of studies, ideas, and recommendations to improve the city’s sustainability. On Tuesday, December 15th, the Plan goes in front of the Charleston City Council in hopes that its recommendations are adopted. The Council is already hearing from those that oppose the plan, so it’s crucial for all local greenies to come out in support of the Plan. This is a great opportunity to really make a difference, and let the City Council hear from those of us that believe a sustainable future is one to reach for. Come to the 12/15 meeting!